59 Productions has collaborated with Parable and Channel 4 to create the design and animation for the VR documentary, GRENFELL: OUR HOME, Channel 4’s first VR film commission. The 15-minute piece premiered at the Sheffield Doc Fest this year where it won the Audience Award in the Alternate Realities programme. It will be widely released at the end of June via social media and free VR stores. 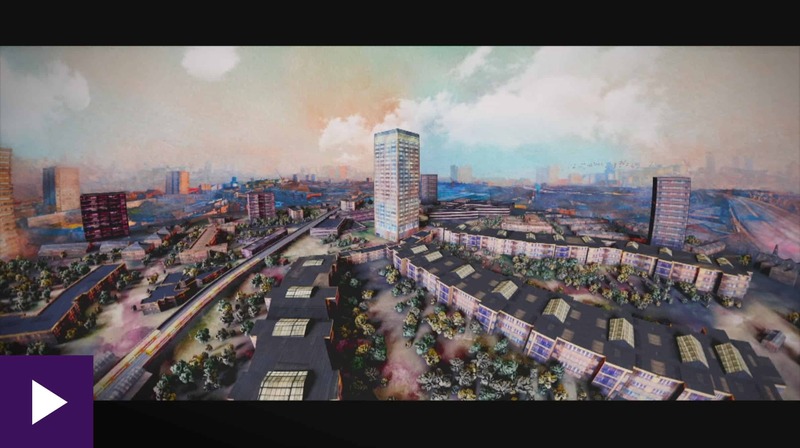 The film tells the story of life in the tower prior to the fire, and features 360 stereoscopic interviews with residents alongside animated sequences evoking life in Grenfell. The film is directed by Jonathan Rudd and features original music by acclaimed Icelandic composer, Biggi Hilmars. The making of GRENFELL: OUR HOME marks 59’s further expansion into the creation of Virtual Reality work, after last year’s piece MY NAME IS PETER STILLMAN, which was selected for the Venice Film Festival. 59 will release their fourth VR piece in late July – check back soon for more details.